Work is progressing in the EA Office here at MU. At this point I’m looking to hire an analyst. The formal job description is listed below but here are the general aspects. They would be working with our new EA modeling tool to help capture business processes and where technology supports those processes. They would occasionally help with governance of some processes like review of architecture roadmaps and diagrams with various stakeholders. This position is responsible for the capturing of current architecture of the DoIT environment as well as aiding in the capture of target architectures, associated architectural requirements, DoIT architectural goals, principles and standards and other architecturally relevant information required for effective enterprise architecture. The BTA works with staff in the enterprise architect office to capture architecture information in the appropriate artifact or system as well as help oversee governance of this information. They must recognize when information provided may not be of an appropriate detail and escalate this issue to the enterprise architects or groups within the appropriate EA process. Work with the enterprise architecture team, business analysts, solution architects, project managers, team leads and project sponsors to ensure that potential changes to business, systems and data, and technology architecture are appropriately captured, reviewed and governed. Duties include but are not limited to: capture of baseline and target architecture, capture of standards, enterprise architecture reviews and assessments, providing architectural input from the enterprise architecture repository to project charters and proposed operational changes. Work with the enterprise architecture team and enterprise architecture governing committees to review and refine existing enterprise architecture procedures. Ensure that enterprise architecture artifacts meet the needs of DoIT and its stakeholders through periodic review. Work with the enterprise architecture team to provide data curation to the enterprise repository – ensuring that baseline and target architectures, standards, and assessments are properly maintained over time and updated in a governed fashion. Provide aid to DoIT staff in submitting or retrieving information to or from the enterprise architecture repository. Provide formal and informal training on enterprise architecture policies and processes. Minimum Qualifications: Knowledge and experience normally acquired through, or equivalent to, the completion of a Bachelor’s degree and a minimum of 2 years of job-related experience in documenting policy, process or architecture in information technology. Preferred Qualifications: Experience in one or more of the following areas is preferred: technical communication, data curation, information science, business analysis, architectural analysis. 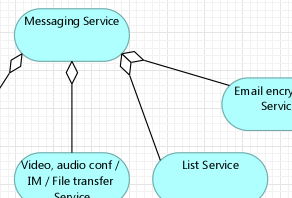 Familiarity with UML or Archimate modeling is desirable. Certification in one or more of the following: TOGAF, Archimate, technical and professional communication, enterprise architecture, data curation.